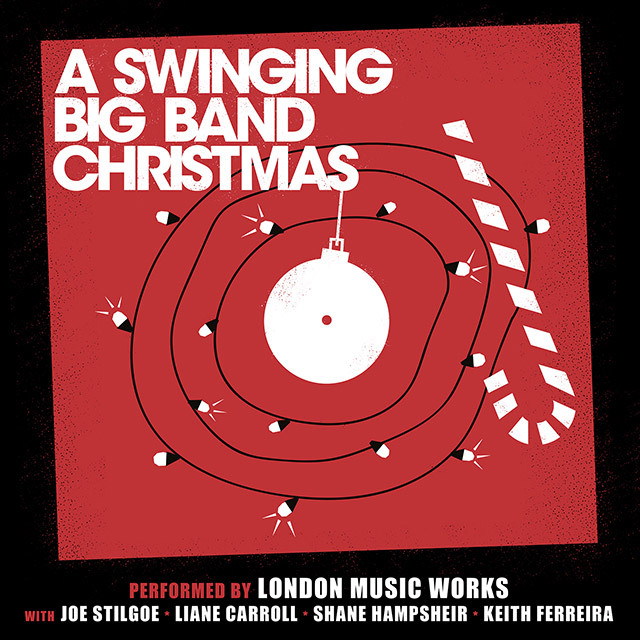 The cream of London’s session musicians joins forces with four of the most versatile singers around to deliver a spirited collection of everyone’s favourite Christmas tunes, big band style. Joe Stilgoe is an internationally acclaimed singer, pianist and songwriter with a rich musical heritage (his father is lyricist and entertainer Richard; his mother the opera singer Annabel Hunt). His live shows are a mixture of virtuosic musicianship and breathtaking theatricality, combining on the spot improvisation and the quickest of wits. The Sunday Times labelled him, “A very British Harry Connick Jr”. Liane Carroll has been a pillar of the British jazz and soul scene for over thirty-five years. Born in London and raised in Hastings; from the beginning of her musical career at the age of fifteen, she has dedicated her life to creating a deep and abiding connection with audiences all over the world through her exceptional talent, versatility and ability to truly interpret a song. Mojo magazine defined her “Liane Carroll doesn’t just sing jazz. She is jazz. This is jazz of the highest quality”. Shane Hampsheir is recognised within the music industry as both a very talented jazz/swing singer and a versatile and accomplished performer. As a professional singer, Shane has performed a number of highly acclaimed one-man shows in jazz clubs and theatres in the UK and Europe and is widely regarded as one of the country’s top swing singers and is in constant demand with many big bands and orchestras including the Ronnie Scott’s Jazz Orchestra. Keith Ferreira AKA The Singing Accountant has once more put away his spread-sheets and calculator to step up to the mic for another selection of film and TV favourites. His mellow and distinctive vocals have added a lustre of magic to a wide variety of classic film and TV themes with his voice most recently heard on an advert for a worldwide fast food chain.